News now of another price drop as Wes Sanford at Northrop & Johnson sends word of a €2,595,000 price cut on the 44.2m motor yacht JL Seagull. Built by Benetti in 2002, JL Seagull was completely refitted in 2011 and accommodates 10 guests in five cabins. Twin Caterpillar 3508B engines give her a range of 4,000 nautical miles at 12 knots. 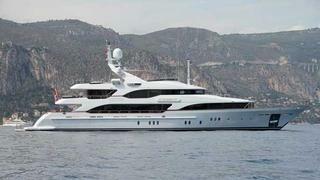 Lying in Nice, JL Seagull is down from €12,495,000 to €9,900,000.